These black 12 inch cable ties are excellent for organizing larger messy cable situations. They are great for organizing large clusters of network cables, car/home audio, computers and more. 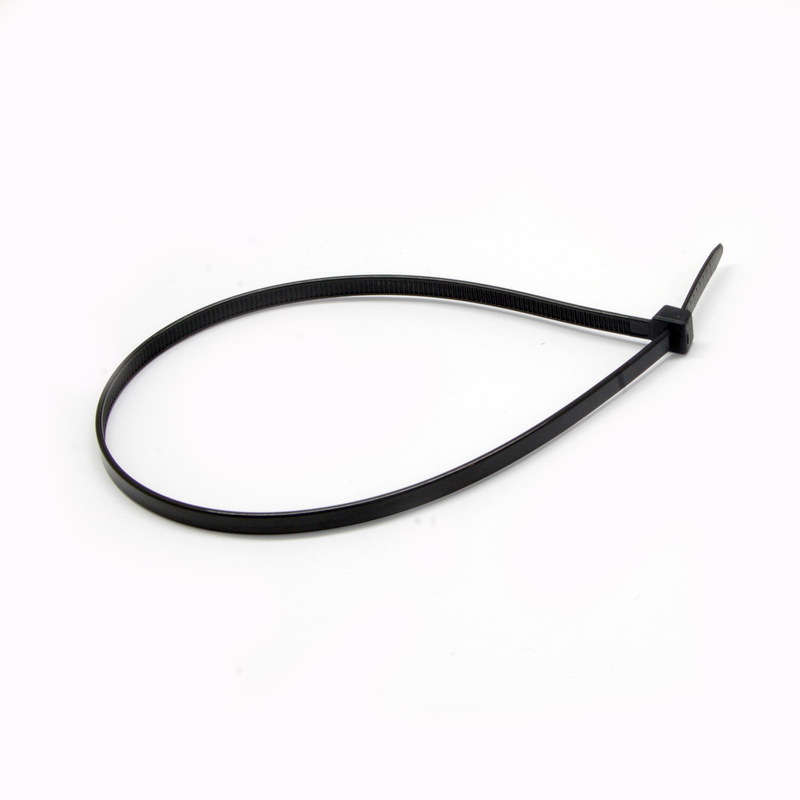 This particular cable tie is rated to 40 pounds and comes in a bag of 100 pieces.